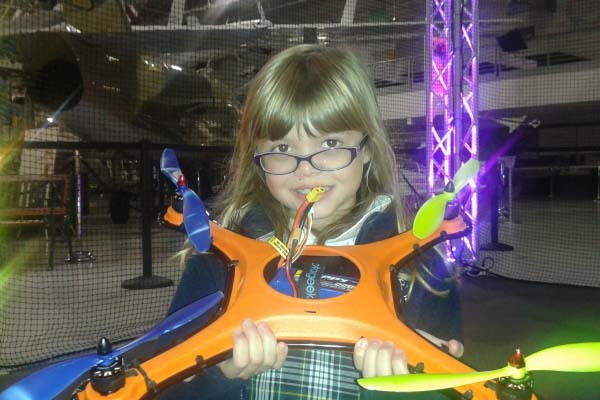 All competitors must be at least 8 years old to fly at the Drone Meet. 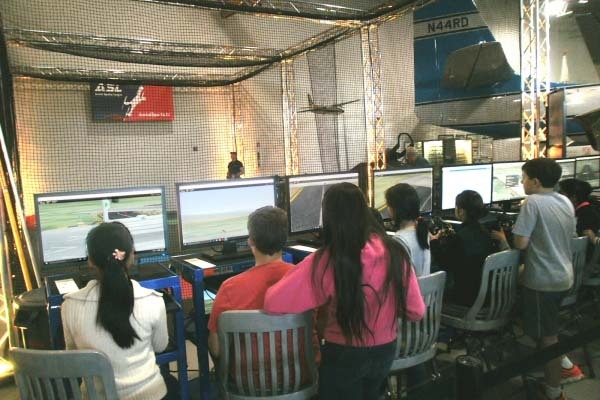 Fly a multi-rotor drone in one of several different skill-specific competitions held in the Hiller Aviation Museum Drone Plex. Each Drone Meet features rounds at 1, 2 and 3 PM. Events are included with Museum admission, but space for each round is limited. 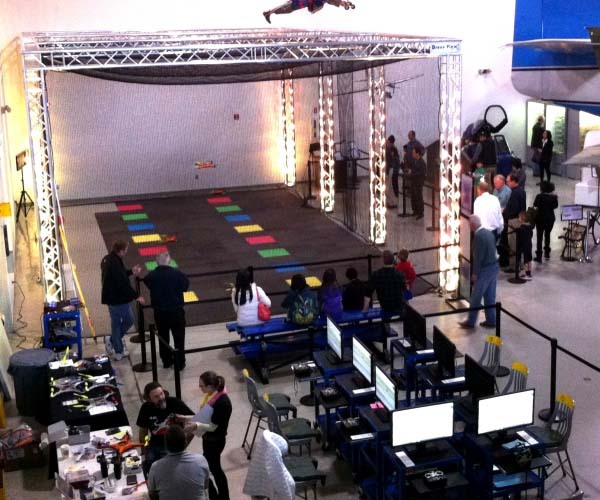 Competitors must register at the Invention Lab (10 AM – 1 PM) or Drone Plex (1 PM – 4 PM) on the day of competition. 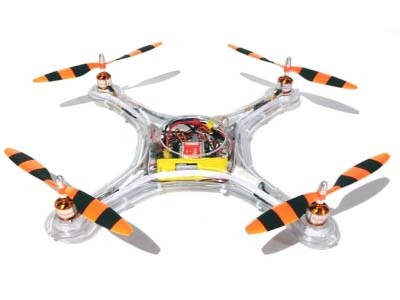 Precision Landing: Fly a small multirotor aircraft and land it as close to the target as possible before time expires! Code & Fly: Use drag-and-drop programing to code a simple flight routine for a Parrot Mambo drone. Launch the aircraft and watch it complete its mission autonomously! 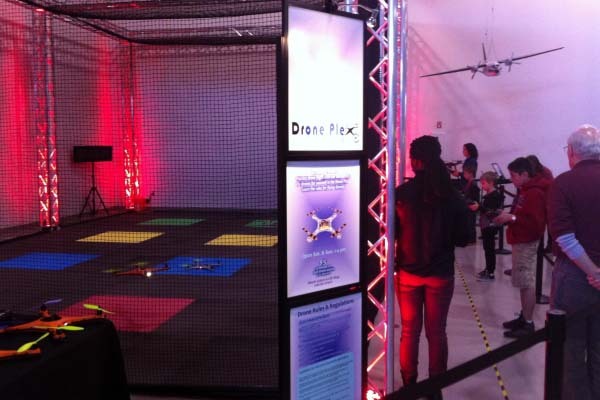 Relay Race: Fly like the air racers of old, completing a circuit around pylons spaced around the Drone Plex. 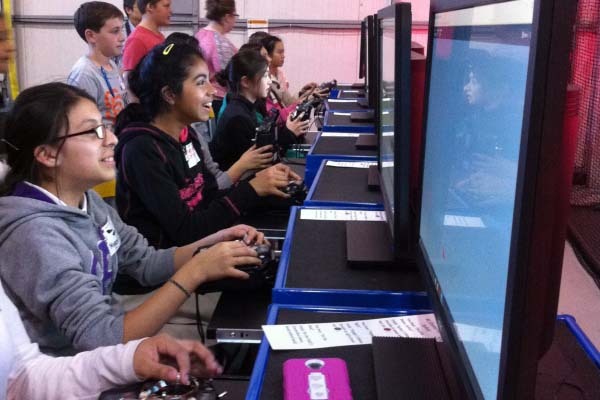 Fly in teams to complete the race without crashing ahead of the competition!